it's been almost 10 months since i moved into this house full of light, and i still haven't got around to buying a proper easel so i can start painting again! this photo dates back to maybe july: a temporary and precarious setup. now in this room there is a bed and a dear friend! 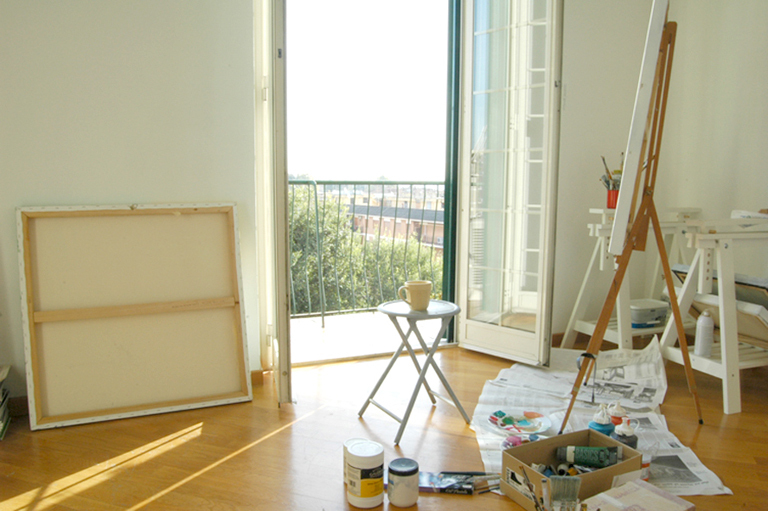 this is my one new years resolution: find an old easel, lug it up four flights of stairs, get back to the dirty work.